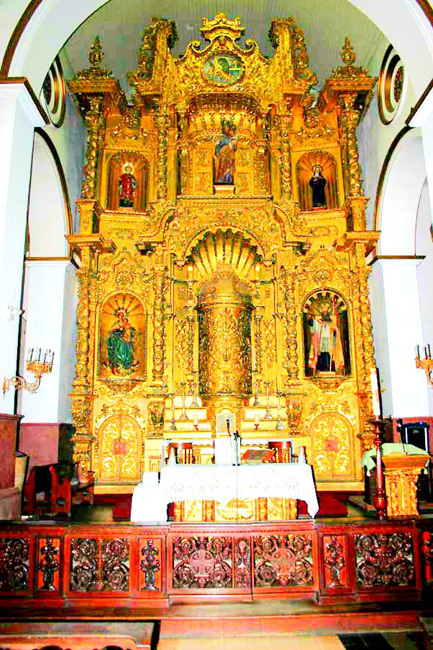 Travel & Tourism One of the things you might want to see when you visit Panama is the famous golden altar of the Church of San Jose in Casco Viejo. 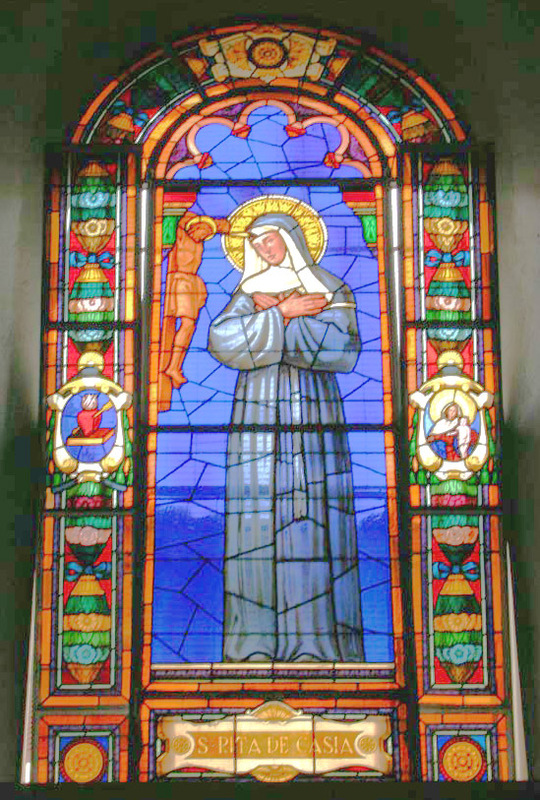 The Inglesia de San Jose (the Church of San Jose) is a small almost nondescript building on a narrow street in the San Felipe district of Panama City. 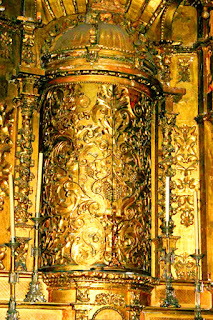 Inside is the famous Golden Altar, which is made of carved wood and is covered in gold flake. Commonly known in Spanish as the "Altar de Oro" (Golden Altar), it was originally in a church in "Old Panama." 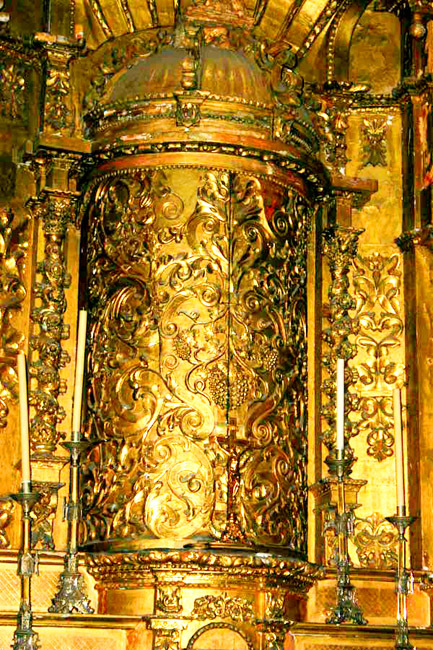 When English pirate Henry Morgan attacked the city the jesuits painted the altar black to hide the gold. The pirates left it alone, thinking it was worthless. 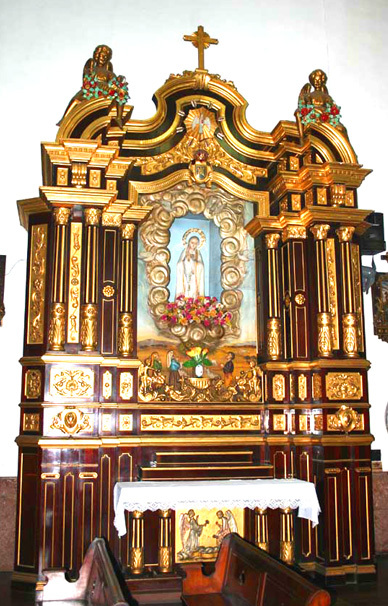 After Morgan sacked and burned "Old Panama" the Jesuit monks of the Order of St. Agustine moved the altar to the new church and its present location. 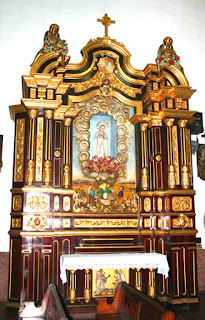 "The Church of San Jose" Initially constructed between 1671 and 1677, was remodeled in the 19th Centrury, is custodian of the Golden Altar, built in the 18th Century. Rotary Club, Panama"
And here's what you came to see. This church gets quite a bit of tourist traffic, and they are kind of accustomed to it. But you should tread lightly and show proper respect if there is a mass being celebrated when you happen to drop in. It's fine to take pictures of the altar, but not during a church service. Some blundering tourists pull some irritating moves in this place. 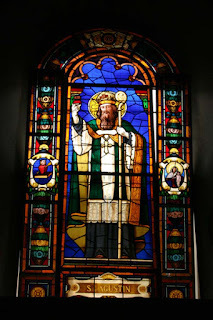 As long as you understand that this is a functioning church and more than just a tourist attraction and show a little respect, then you'll have no problems at all. And, you'll find that people are very proud of the church and like to show it off. 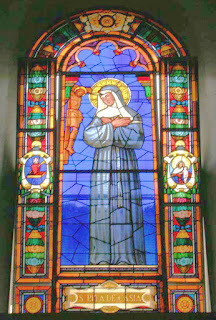 The church also has some very nice stained glass windows, this one dedicated to Saint Rita of Cascia, the Patron Saint of Lost Causes. Very interesting!! 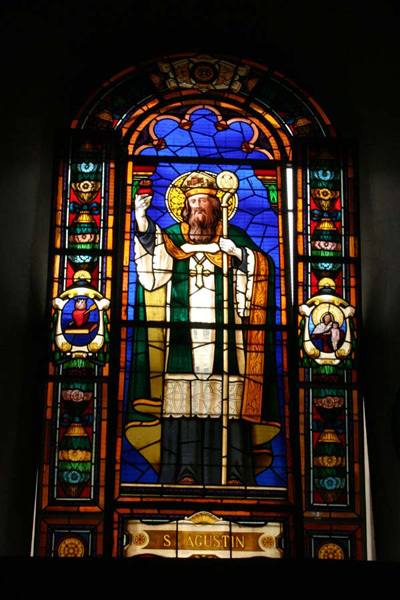 This does not have as many Stained Glass windows to shhow, but the few that are in the church are worthy of mentioning! That's al for now! May sunshine fill your day!